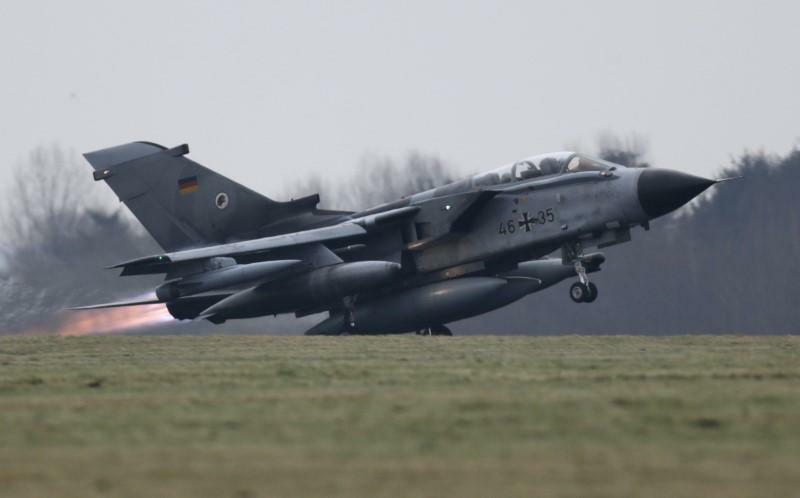 BERLIN (Reuters) - The German military has asked potential bidders in a high-stakes competition to replace its aging Tornado fighter jets about accelerating deliveries of new warplanes before an initial target date of 2025, sources familiar with the matter said. The defense ministry posed the question in early August in a follow-up to its initial request for information from Europe's Airbus (AIR.PA) and Lockheed Martin (LMT.N) and Boeing (BA.N), both from the United States, the sources said. Defence Minister Ursula von der Leyen says she favors a European solution - the Eurofighter Typhoon built by Airbus, Britain's BAE Systems and Italy's Leonardo SpA (LDOF.MI) - but Lockheed and Boeing still hope for a chance to bid for the work.